Inma of la Galletika was our Sept. 2013 Daring Bakers’ hostess and WOW did she bring us something decadent and delicious! Pastel de Tres Leches or Three Milk Cake, creamy yet airy, super moist but not soggy... just plain delish! I was simultaneously excited and apprehensive about the Daring Bakers challenge this month. Not because of the recipe, but just because of all the oven fails I've been having lately. I decided to minimize risk and take my baking elsewhere. A large number of my female friends live in an honor house dedicated to sustainable food, and informed me I was welcome to use their oven anytime. So I packed up all my supplies and trucked it down to the house. It was nice to have a large enough space for me to bake and socialize at the same time. I slid the cake into the oven nervously, praying that it would not burn or collapse. Thirty five minutes later I pulled it out and hurrah! It had baked up into a fluffy, golden sponge. "That smells really good!" someone called from the dining room, and I did a small victory dance (mostly an internal victory dance). Finally, a success. Obviously I wasn't done there, but the tricky part was over. You can't have a tres leches cake without the milks! I've made the traditional recipe before, so I wanted to try something new. 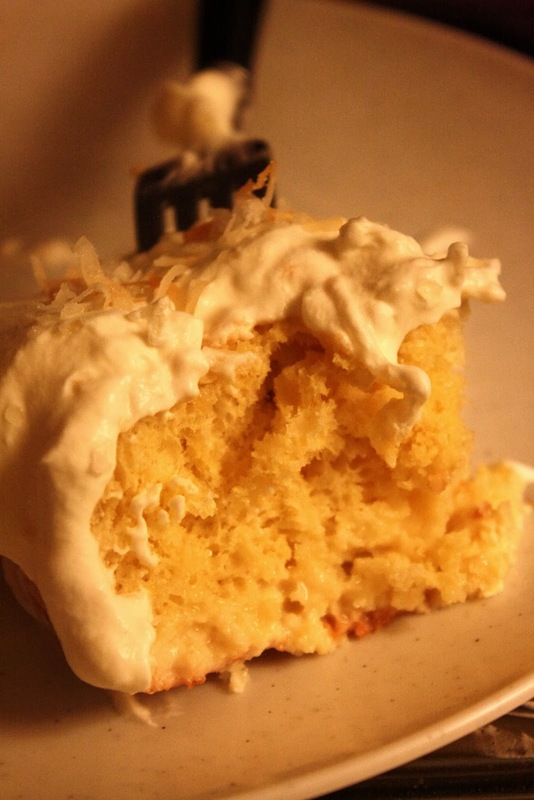 I was delighted to find that The Pastry Affair had a coconut tres leches cake on her site. The sponge is soaked in a mixture of sweetened condensed milk, coconut milk, and coconut rum (side note, purchasing this was my first time actually buying something from a liquor store. I was a little nervous that there would be some rule I had overlooked preventing me from purchasing alcohol and I would be unceremoniously booted from the store. Thankfully that did not happen). 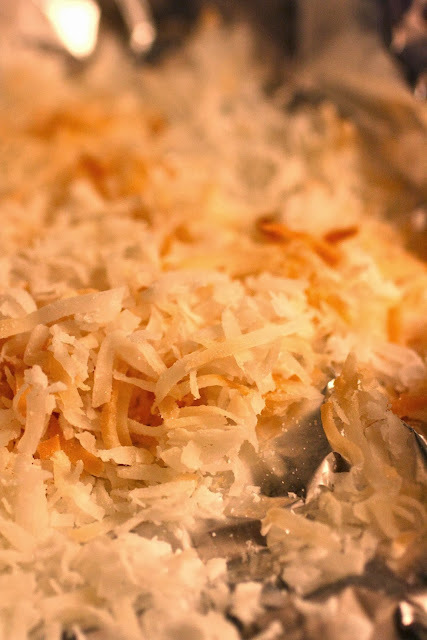 Finish it off with a thick layer of coconut rum spiked whipped cream and toasted coconut and you've got yourself...a pretty irresistible cake. I'm glad you had success with your Tres Leches cake! It sounds delicious. Nice job on the challenge! Your cake looks so fluffy even moistened! The coconut addition from syrup to topping sounds also delicious. Well done! Thank you! I was surprised at how fluffy it stayed! I think you've done an admirable job on this challenge. Your Tres Leches Cake looks so so delicious! I love the recipes from A Pastry Affair, and this one sounds absolutely delicious.